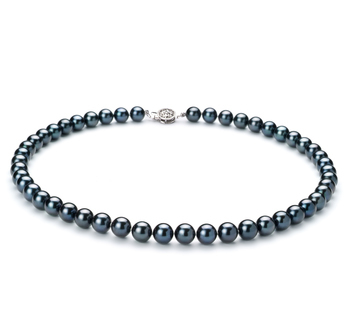 A strand of glistening, glowing perfection flows from this Black Japanese Akoya earl Necklace. 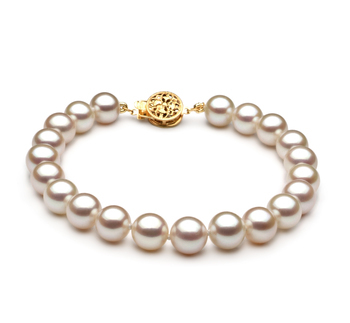 With a (AAAA) perfect grade for is lustre, it’s bound to stream mirror like rays of light from each pearl. 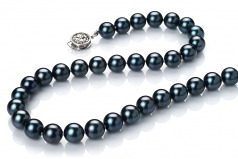 It remains a mysterious and unique dyed Black pearl that is grown and harvested in the frigid cold waters of Japan. 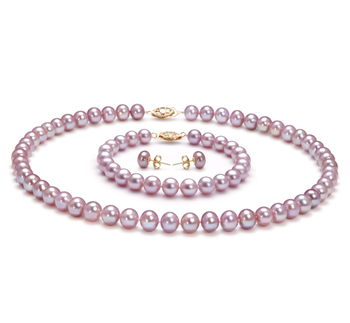 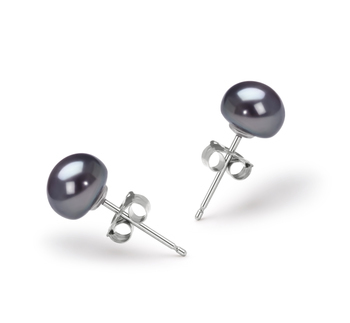 At 7.5-8mm, it is on the larger scale of the Akoya Pearls and more valuable. 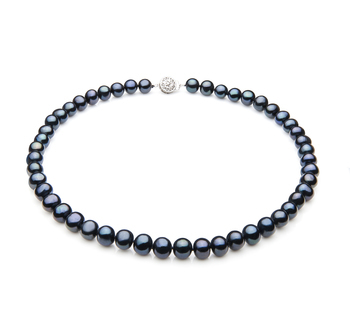 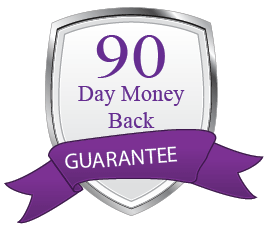 The (AAA) quality, body and overall grade make it an evenly display pearl necklace that any woman would be proud to wear around her neck. 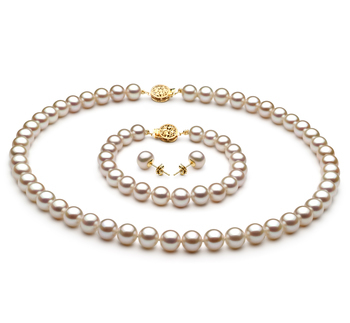 The (AAA) shape leave room for unique and inspiring conversations of each pearls unique and personal slightly out of round traits. 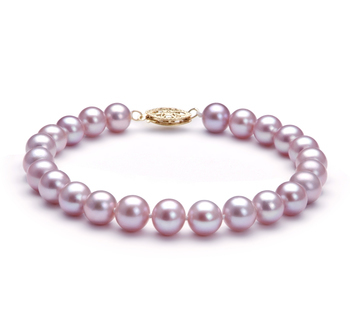 Each pearl is hand strung on a fine double knotted silk thread with each pearl being separated with a hand tied double knot to ensure no two pearls rub against each other causing rub marks or other damage.